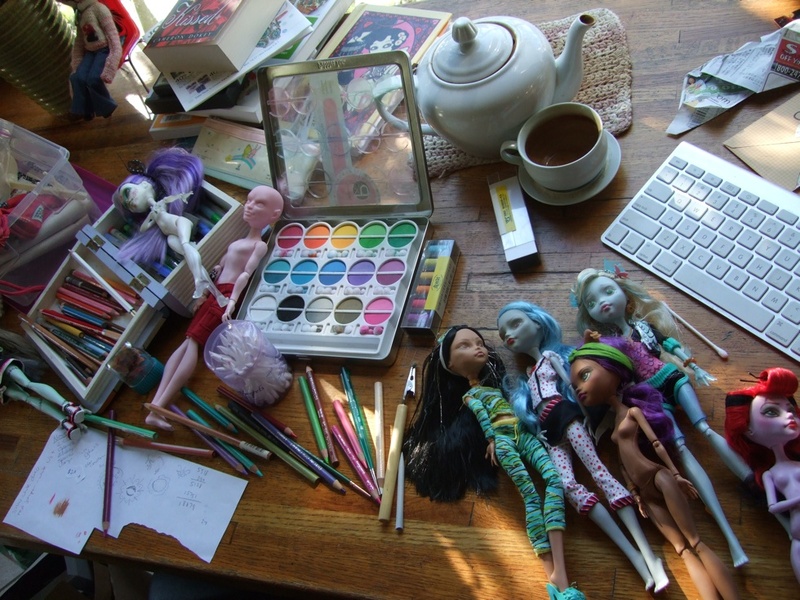 I'm getting ready for this weekend's Crossroads Doll and Teddy Show. My mom and I have been doing this show for about 15 years now. I can't believe it's been so long! It's changed and evolved over the years but has remained a fun thing that we look forward to doing 3 times a year. There's a lot of fascinating antiques plus supplies, artist made bears and dolls, and a lot of new and old collectible dolls. 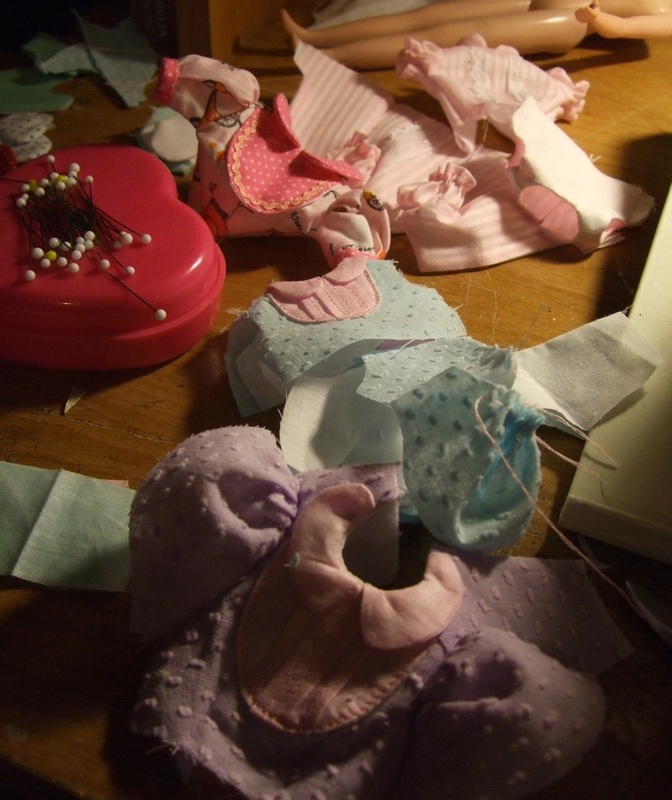 My mom makes doll clothing patterns https://www.etsy.com/shop/kristineanns and we both make doll clothes for various dolls. More recently, I've started bringing more of my handmade dolls and creatures. I had to ease people into it though. Two heads are not for everyone, go figure! hee! 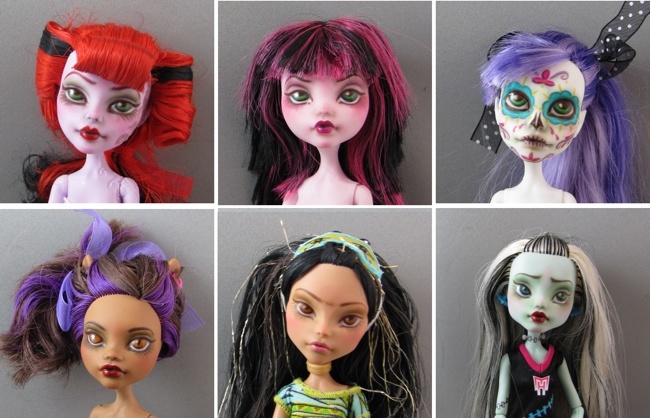 As a new thing, I've been doing some Monster High repaints. They're really fun! I love these little dolls and the concept behind them but their factory faces just don't do it for me. Sooooo, I remove all the orignal paint and put on my own. Voila, a whole new dolly! Each character has a different face sculpt so it's fun to do a bunch of different girls. I'll be selling these at the show and will list my leftovers on my Etsy page along with any leftover doll clothing. As a reminder, I always post a link to every new Etsy listing on my Facebook fanpage. Make sure you sign up to see me in your news feed.